By the beginning if 1983 ABBA had effectively broken up, though they never made any announcement of an official break-up. They went on to "other projects" and the intention was always hinted at that ABBA would record again. In the meantime, surprisingly, new compilations and reissues started to appear. The first ABBA compact discs appeared in 1983. 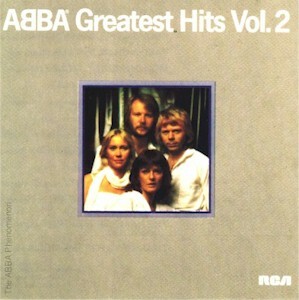 The Visitors (being the first ABBA album pressed in this format) was first to be released, followed by Super Trouper in early 1984, then Greatest Hits Vol. 2, The Album, Arrival and Voulez-Vous later that year (approximately in that order). All were on the Polar label, manufactured in West Germany and imported by RCA. The CD of Arrival featured the same track listing as overseas releases, which did not contain Fernando. Only The Visitors and Super Trouper featured booklets with song lyrics. Also in 1984 RCA re-released on vinyl the albums Waterloo and The Album at a budget price on their International (rather than Victor) label. This reissue of The Album lacked its inner sleeve. These reissues did not enter the album chart. Budget label J&B released their compilation Hits! Hits! Hits! in 1984, on album and cassette . The 14 track album featured the usual line-up of hits, plus the edited single version of Fridas solo hit I Know Theres Something Going On and Agnethas solo single The Heat Is On. This compilation was heavily promoted on TV, reaching number 49 on the album chart. Inspired by the ABBA 77 - 87 The Anniversary, a fan event held in Sydney in March 1987 to celebrate the 10th anniversary of the Australian tour, Village-Roadshow released the first ABBA video cassette in Australia, misleadingly titled 1977-1987 The Tenth Anniversary Special . The video was a compilation of ABBA film clips from Dancing Queen to On And On And On, and was released to coincide with a resurgence of interest in ABBA following the tenth anniversary of the 1977 concert tour. The tape had originally been released in Sweden as Music Show 1 + 2 in 1981, and Roadshow did not even bother to retitle the video on the tape itself, surprising fans on first viewing. The video was initially released for rental only, but in 1990 was released for sale with a slightly modified cover , which reached number 7 on the video chart. The clip for On And On And On contains an extra verse, never released on record, and is unavailable on the later ABBA Gold series of video cassettes. In the late Eighties, before their licence expired, RCA re-released The Best of ABBA and Greatest Hits Vol. 2 on LP, cassette and CD. Both featured to original cover artwork, though the CD of Vol. 2 was light grey (rather than dark grey) and had an RCA logo on the front cover, to differentiate it from the Polar/Polydor release, though the LP still had the gatefold sleeve. Unfortunately the CDs were shoddily mastered, with the beginning of several tracks cut off. The LPs had black labels, rather than the Seventies yellow or tan. In 1988 Virgin Video released 1974 - 1982 Video Biography, as part of their Video Biography series . The video featured excerpts from most ABBA clips with graphics overlaid telling the ABBA story, though very few complete songs were included. The cover of this video was slightly modified for the Australian release, listing different songs to the UK release on the front cover. This is one of the only two commercially released video to contain the clip for Ring Ring (the other being Thank You ABBA, released in 1994), but the album version of the song was dubbed over the soundtrack. This video has since been reissued by PolyGram with the original UK cover, which reached number 13 on the video chart. Budget label Rainbow released Ring Ring on CD around this time, curiously with the same track order as the Seventies RCA cassette. This re-release has a predominantly green cover, with a photo of the group wearing their 77 tour Dancing Queen costumes . Also in 1988 UK Budget label Castle Communications imported two CDs compiled for the English market, The Collection and The Collection 2. 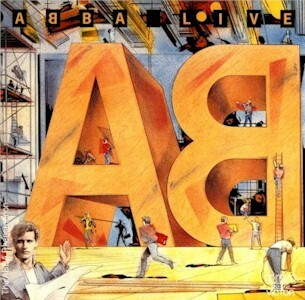 The first was the usual greatest hits-type compilation, while The Collection 2 was actually a bizarre combination of the Ring Ring and ABBA Live albums, though only the tracks from the LP version of Live. Both were only available for a limited time. In 1989 another UK budget label, Pickwick, imported their 3 CD box set The Hits Box, containing three separate CDs (The Hits, The Hits 2 and The Hits 3) that had been released over the previous couple of years in the UK. In early 1990 they also imported their follow up to these three CDs, The Love Songs, containing the few single tracks not on their previous releases, plus the bonus of Gonna Sing You My Lovesong, Lovelight and Should I Laugh Or Cry, at that time not available on CD (incidentally this is the only CD featuring the full original mix of Lovelight). This box set and Love Songs collection were also available on cassette. 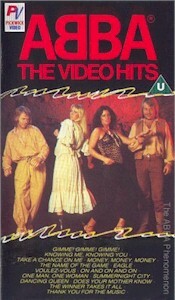 At around the same time Pickwick also imported two video compilations, The Video Hits and More Video Hits , the first containing the same tracks as The Tenth Anniversary Special, while the latter featured most of the ABBA videos from Super Trouper to Under Attack, plus the solo clips I Know Theres Something Going On, Here Well Stay, Shine and Twist in the Dark by Frida, and The Heat Is On and Cant Shake Loose by Agnetha. The clip for When All Is Said And Done featured on this tape features a slightly remixed version of the song, never released on record. More Video Hits was a modified version of Music Show 3, released in Sweden in 1983. In 1990 the German entertainment giant PolyGram purchased Polar Music and the ABBA back catalogue, and began work on reissuing the ABBA catalogue. Greatest Hits Vol. 2 appeared on CD on the Polydor label in 1990. 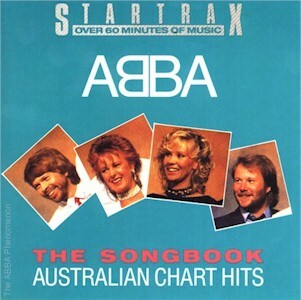 Also in 1990 PolyGram released the first CD only ABBA release in Australia, the locally compiled The Songbook - Australian Chart Hits, featuring twenty songs, every ABBA song that had featured in the Australian charts . The songs were programmed in the order of highest chart position and weeks on the chart, so the first tracks were the big sellers of 1975 - 76 with later moderate hits such as Take A Chance On Me and On And On And On featured towards the end. Spelling was obviously not a priority on the cover, with the curiously titled Mia Mia listed as a track. 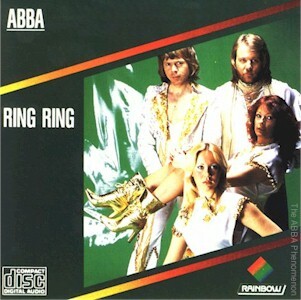 Around this time Rainbow re-released the Ring Ring CD in association with PolyGram, with a new black cover . In addition import copies of a German four-track CD EP were available in some shops, though the EP was not released generally. The CD featured Lay All Your Love On Me, The Day Before You Came, Cassandra and Under Attack (Polydor 871 115-2). 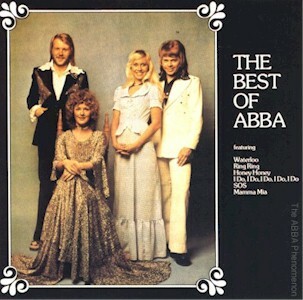 In early 1992 the entire ABBA catalogue was re-released on compact disc on the Polydor label, which saw for the first time the release on CD in Australia the albums The Singles, ABBA and Waterloo. 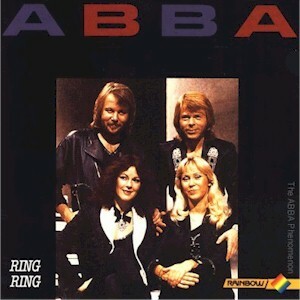 This latest release of Ring Ring featured a modified version of the original Swedish LP cover, and both the Ring Ring and Waterloo front covers were changed to feature large, garish "backwards B" ABBA logos, while the modified ABBA cover featured a plain typeface, not the original "swirly" style of writing. 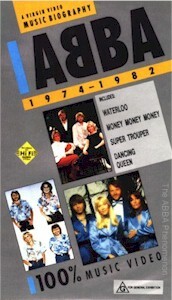 This CD version of Waterloo featured a slightly modified track listing to previous releases, while the ABBA CD contained five extra songs, being the best known songs from the Waterloo and Ring Ring albums. The Polydor version of the Live album was also released, with a slightly different cover to the earlier Polar issue. These CD re-releases of Super Trouper and The Visitors did not feature the song lyrics in the booklet, as did the earlier Polar CD releases, while the CDs of Arrival, The Album and Voulez-Vous had identical artwork to the earlier Polar releases. Many of the CDs were manufactured in Australia, while the rest were imported from Germany. Most if not all of these titles were also re-released on cassette, in the original track order, though the cassettes do not appear to have been widely available. 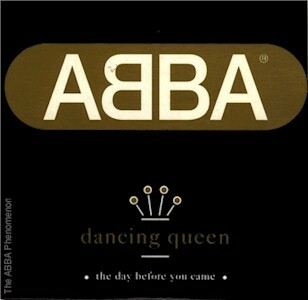 In September 1992, to herald the forthcoming release of ABBA Gold, PolyGram released the single Dancing Queen/The Day Before You Came on CD and cassette . Oddly the name ABBA does not appear on the label of the disc, which also lists two track 1s . 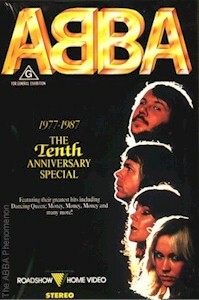 A new film clip was created, using most of the original clip interspersed with footage from many other clips, and was included on the ABBA Gold video. The single reached number 28, and helped publicise the new Greatest Hits album. 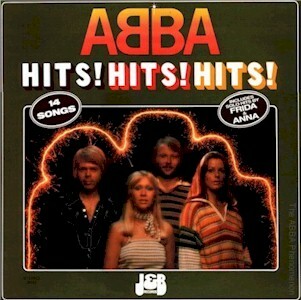 From this single on all PolyGram releases featured a slightly modified version of the classic ABBA logo.